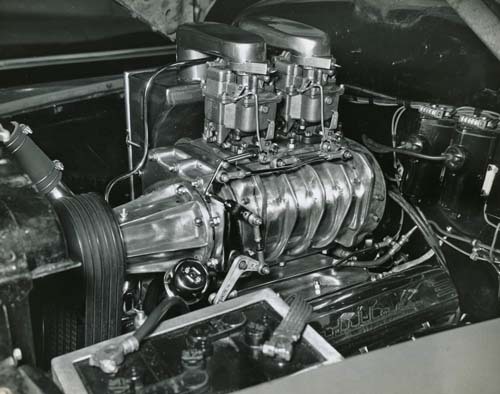 After returning from WWII Navy duty in the South Pacific, Jack opened up a small repair garage in Hermosa Beach which became the official headquarters for Jack McAfee Engineering, aka "JEM ENG". 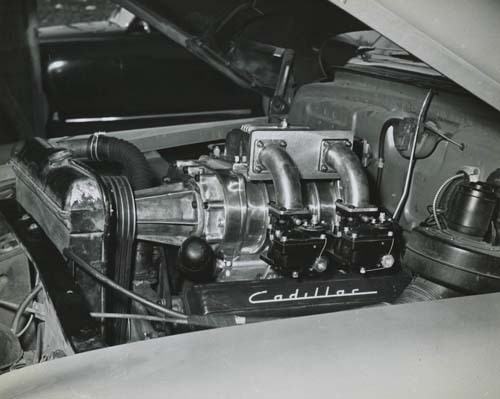 While not being much more than a few service bays in the back of a service station, it was the birth place of an idea that resulted in some serious hot rodding history; the first blown Cadillac 331 "mil". 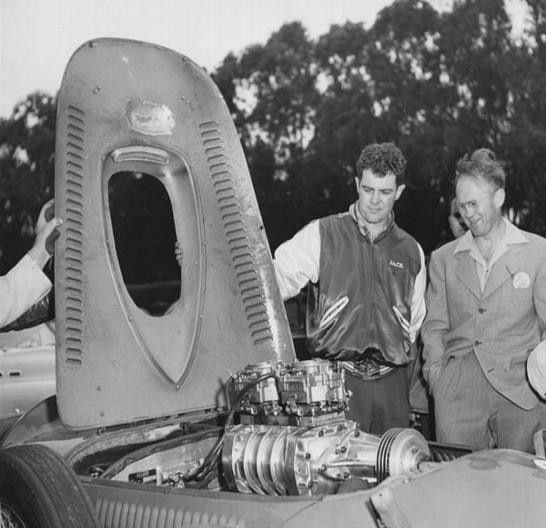 Probably the last photo taken of any installation was below showing an Allard J2X at 1952 SCCA Golden State Park race. My dad is in the satin "Hollywood Throttlers" jacket. Unfortunately an associate was allowed to drive the car on the street pre-race day and burnt a piston having too much fun. 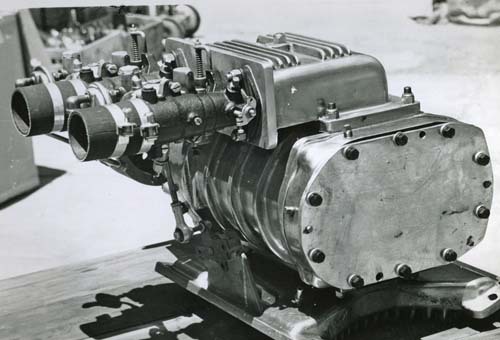 I have very little information on the JEM BLOWER kits other than they were developed in the late 1940s. 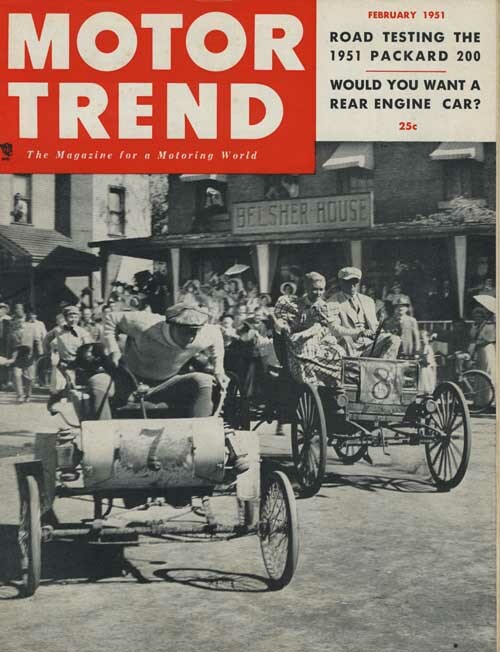 The March 13, 1950 edition of Autonews magazine shows a picture of the JEM blower kit and states "Puts out 10 pounds and very smoothly. 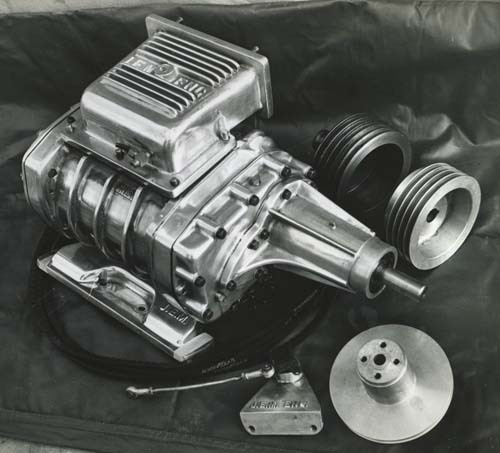 Showed 40 percent increase in power in dynamometer tests." 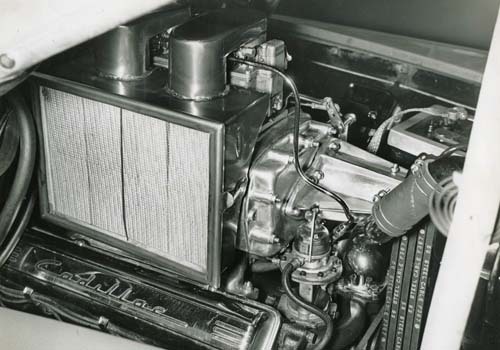 Factory SAE ratings for the Cadillac 331 OHV engine was 235hp. 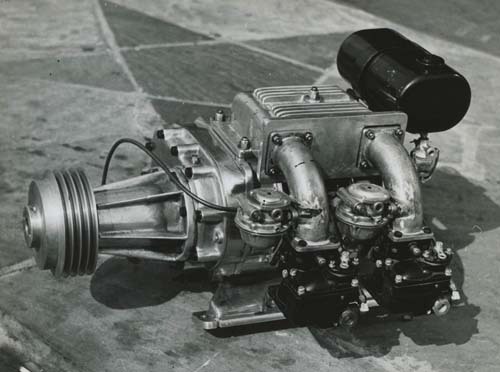 Hence blown output would approximate 330 hp. I have some very crude Polaroid photos showing the dyno testing in process but they are in horrible shape.